Does Pet Ownership Promote Heart Health? Many people who own pets treat them like family members. Pets are thought to provide joy, comfort and stress relief, alleviate sadness, and give their owners unconditional love. Some hospitals, including Rush University Medical Center, allow family pets to visit their hospitalized owners if certain requirements are met. Teams of specially trained “comfort dogs” visited and provided comfort to the survivors of the Oklahoma tornadoes, Boston marathon bombings and Sandy Hill school shootings. But what do we know about pets and the health of their owners? In particular, does pet ownership promote heart health? Pet ownership is associated with lower blood pressure. Dog owners tend to have lower cholesterol and triglyceride levels. Dog owners engage in more physical activity, especially walking, than people who don’t own dogs. Dog walking, rather than pet or dog ownership, is associated with a lower incidence of obesity. In people who already have heart disease or who recently had a heart attack, studies show that pet owners have a lower risk of death. 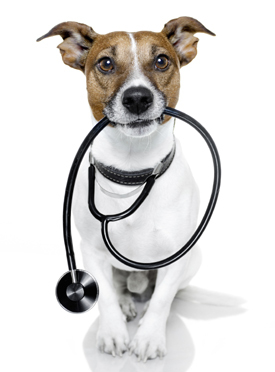 Therefore, pet ownership, especially dog ownership, is most likely associated with a lower risk for heart disease. Perhaps our pets provide an important kind of social support that has many physical and emotional benefits. Our loving pets, however, shouldn’t be regarded as therapy that can replace proven therapies for heart health, such as a good diet, regular exercise, medications for blood pressure, cholesterol, and diabetes control, if necessary. Lynne T. Braun, PhD, CNP, a professor with the Rush College of Nursing and nurse practitioner with the Rush Heart Center for Women, is a co-author of the American Heart Association statement on pet ownership. This entry was posted in Exercise and Physical Fitness, Heart and tagged heart health, pet visitation. Bookmark the permalink. Pets are great for treating veterans with PTSD as well. Very cool.